Alicja Wolk has published 500 scientific papers (1989-1993 as KuskowskaWolk A) and 20 book chapters; cited 22 000 times, H-index=77 (ISI/Web of Science Aug 2014); cited 33 000 times, H-index=96 (Google Scholar). Stackelberg O, Björck M, Larsson SC, Orsini N, Wolk A. Fruit and vegetable consumption with risk of abdominal aortic aneurysm. Circulation. 2013 Aug 20; 128(8):795-802. 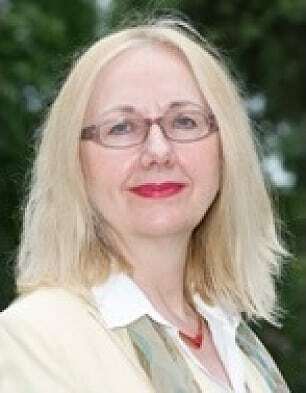 Alicja Wolk has established and systematically developed nutritional epidemiology in Sweden and became the first Swedish professor (2001) in this field. She is Principle Investigator and Director of two population-based prospective longitudinal cohorts including 110,000 participants. The cohorts, with extensive information about diet and lifestyle, are annually linked to health registers to investigate associations between diet, lifestyle and development of cancer, cardiovascular and other chronic diseases. Collected DNA enables studies of genes and gene-diet/environment interactions of importance for disease development. Many novel and important findings based on the cohorts have been reported; e.g., that 4 of 5 myocardial infarction in women may be preventable by healthy diet and lifestyle. Alicja Wolk has supervised 26 PhD students and 23 postdocs. Two of her PhDs have received prizes for a) the best Swedish PhD thesis in epidemiology (2009) and b) Chorafas prize, the best PhD thesis at KI (2006). Alicja Wolk is engaged in dissemination of research findings. According to Karolinska Institute's quantitative analysis of mass media, she was the second most quoted professor at KI in 2012 (after the KI's president), which illustrates the great interest in and importance of preventive medicine. She is giving popular scientific lectures to patients' organizations, the general public and to members of the Swedish government.